If you are someone who wants to learn more about percussion, or if you are a percussionist who is not in the Symphonic Wind Ensemble, you will be enrolled in the percussion class as a means to fulfill your Symphonic Band/performing arts credit. In the percussion class, you will study different types of percussion literature, learn how to play various percussion instruments, and perform individual and ensemble pieces. 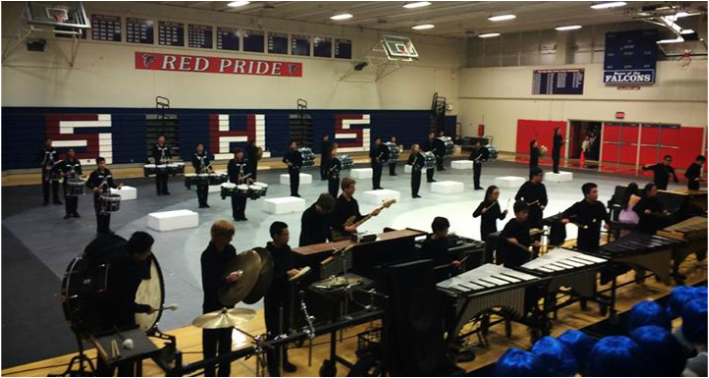 In addition, you may be a part of the Winter Percussion Ensemble, which performs and competes locally in the Winter months. The Winter Percussion Ensemble rehearses outside of the school day and fulfills a semester of PE requirement.